During the toy fair in New York, we got to see many amazing toys – some of them really caught our eye. The Pirates of the Caribbean: Dead Men Tell No Tales – Silent Mary Ghost Ship really stood out from the crowd for us. This is the fifth installment in the Pirates of the Caribbean film series. Pirates of the Caribbean: Dead Men Tell No Tales was released on May 26, 2017. 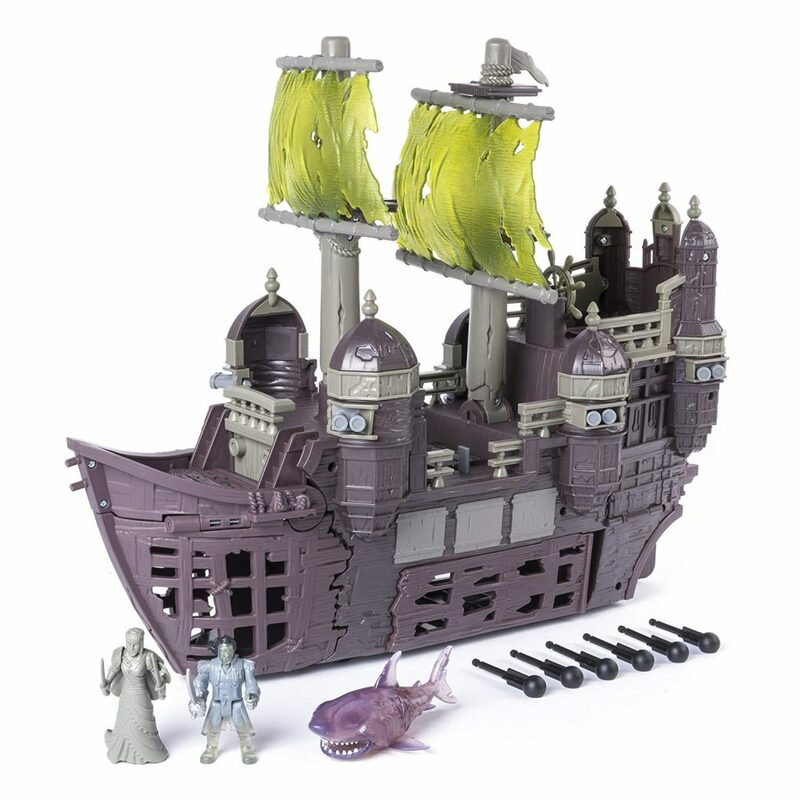 Looking at the ship, you are going to have a whole lot of fun when it comes to recreating your favorite moments from the big screen movie, including ghost Captain Salazar and a ghost shark! This is a decent sized ship measuring 9 inches in height, 21 inches long and 17 inches wide. The Silent Mary will arrive in an almost open box. 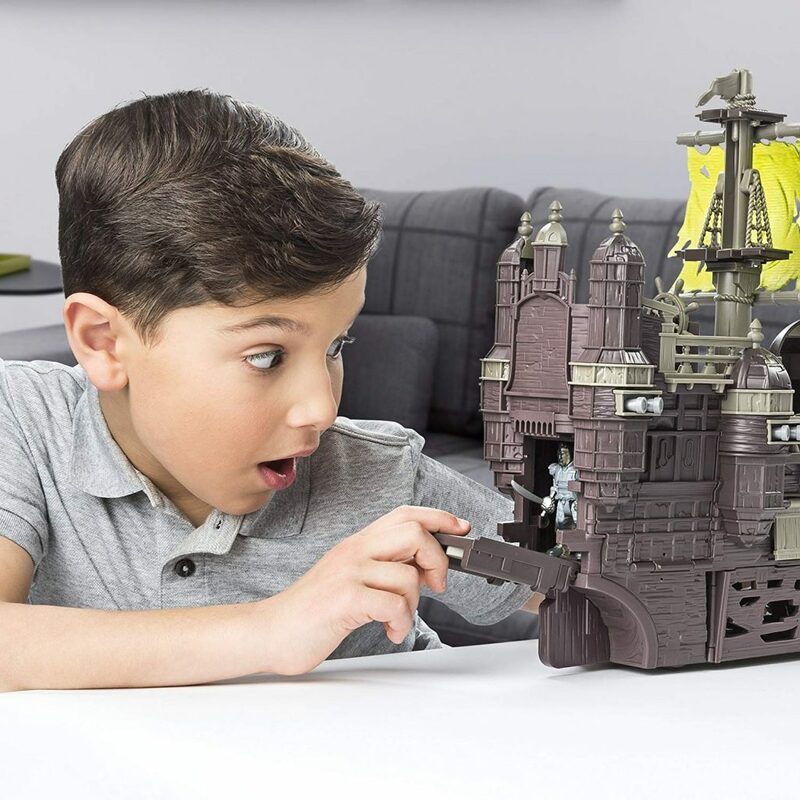 On the front of the box, you’ll see a picture of Captain Jack Sparrow and the ship features plenty of swashbuckling, rolling wave action and ship-wide push button features, including a moving mast, secret doors and trap doors. In the box, you’re going to find one Silent Mary Ghost Ship, One Bow Figure, One Ghost Salazar Figure, One Shark, 6 Cannonballs and one instruction sheet. We personally like how it includes authentic styling, hidden cannons with real launching projectiles, tons of detail and even hidden compartments. 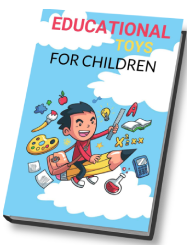 As far as the instructions go – there’s a instruction sheet which is well laid out and easy to follow – Lego always does a good job with their instructions. The Silent Mary includes a stylized 3″ Captain Salazar figure, a blow figure and even a ghost shark to roam the watersWatch out for the capturing bow below that traps the ships enemies!